Over 150 years since it was introduced, in a dramatic move, the Canada Government has announced plans to discontinue its one-cent coin – known colloquially as the penny – after revealing it has become too expensive to produce and ‘ worthless’ as a currency. Inflation has eroded the penny’s purchasing power by around 95% over the years, and the price of the copper has risen more than 330% since 2000 so each cent costs around 1.6 cents to produce. Scrapping the penny will save an estimated $11million Canadian dollars (£6.9 million) a year according to the Canadian Government. It’s estimated there are upwards of 20 billion pennies in circulation which they will remain legal tender but become largely redundant over time. Companies and retailers have already been told to begin rounding up or down to the nearest nickel (five cents). 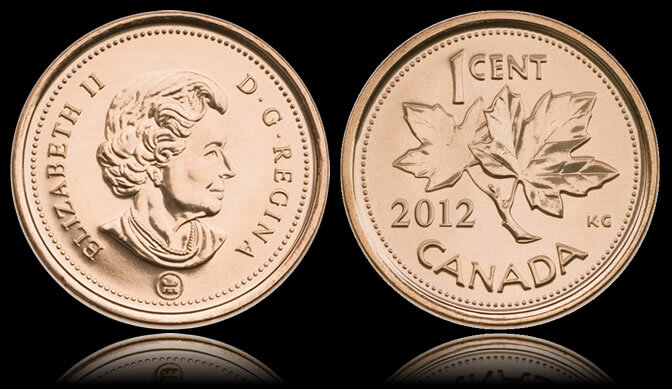 A recent poll suggested over half of Canadian are in favour of ditching the penny. It’s hoped that phasing out the penny will not have any detrimental effect on inflation. Similar systems implemented in Australia and New Zealand have caused no major problems. Pennies themselves will continue to hold their cash value, so Canadians can always trade them in at banks, who can then return them for recycling into their original metals. The loss of the coin is a blow to world coin collectors everywhere, but that loss is part of what makes the world coin collecting so interesting – designs change, new coins come into existence and some coins will inevitably disappear. 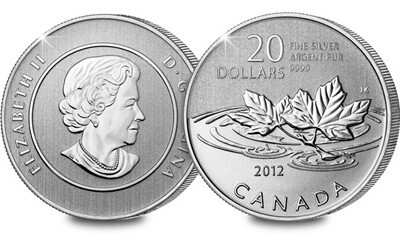 Silver $20 ‘Tribute to the Penny’ and a Set of five Canadian one cent coins also in pure silver.